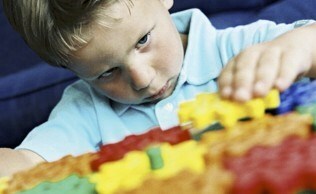 Children will explore the fundamentals of robotics and discover how robots are used through activities and games. They will begin assembling their very own Kingii Dragon Robot that they will take home at the end of the week. What do gears and spirographs have in common with robots? Find out along with how a co-op-a-walk works with your friends. Take home your very own squiggle ball and watch it do crazy turns. Children explore the “nuts and bolts” of robots as they build simple circuits, test them, and discover how switches work. 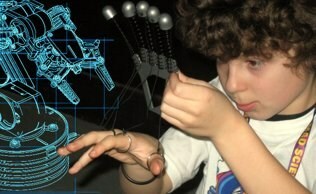 Try out a real robotic arm and mini plasma ball too! Construct your own scribble bot from scratch to take home. Day 3: Use Your Common Sensors! See how a neodymium magnet makes a ball fly further. Discover the world of robots is at your command as they follow the line or listen to your words. Build a system of snap circuits and play games that use your senses to communicate. Take home your very own circuit maze you can build. Learn about Asimov’s Law of Robotics and its application to robot technology. Go on a bug hunt to learn how robots’ movements are similar to those seen in nature. Watch a model car drive right up the wall and practice with a real robotic arm. Take home a springy robot-like hand that you work with your fingers. Children will complete their Kingii Dragon Robot and test it in our obstacle course. Campers will use their imaginations to create their own robot designs and recycle materials to make a model of their design. Race our remote control cars and discover how robots are programmed via a sequence of commands. Take home your Kingii Dragon Robot to continue your exploration of the world of robotics.